It seems that with each changing season, the worlds of outdoor products and tactical gear overlap more and more. Not only has this amalgamation increased the amount of Cordura and earth tones used in common clothing and gear, but it has also introduced a new approach to outdoor activities – one that is more zeroed in on preparedness. It can be argued that this type of clothing and gear, when coupled with a focused approach, has allowed people to go further and further into the outdoors. It can also be argued that this unification was a long time coming, and I for one am all about it. This hybrid approach is interesting because it brings two different schools of thought together, and yet somehow it just works. It’s a little easy and outdoorsy, and a little tactical and militaristic, but it works. 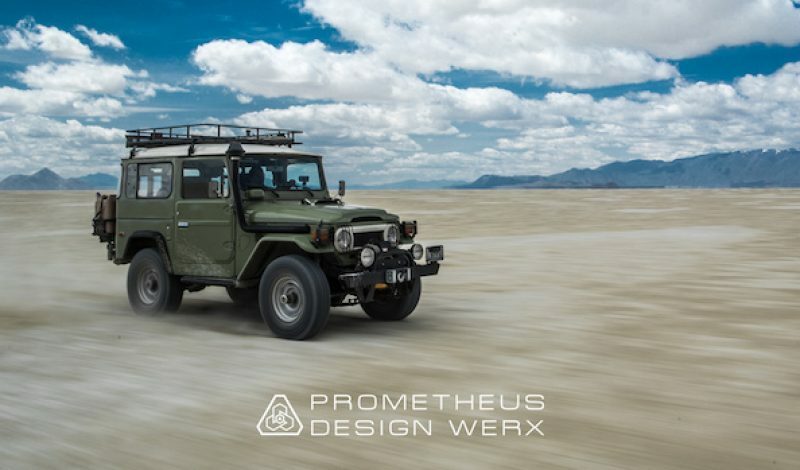 One company who is on the forefront of this outdoor reorg is Prometheus Design Werx out of San Francisco, California. Not only are they offering products like knives and tools for sale on their website, they are also offering up a unique frame of mind – some might even say a lifestyle – for their customers. Built off of more than 20 years of personal and professional experience by company founders Patrick York Ma and Chris Whitney, their approach to adaptation and perseverance lives and breathes throughout their company and onto their websites. And though their mission and vision are more than obvious, they’re not trying to jam anything down anyone’s throat. Instead, PDW has laid out the welcome mat and opened their doors to a world of preparation through adaptation without directly focusing on survival itself. They’ve even provided a guide on this journey: Danger Ranger Bear. Danger Ranger Bear is a cartoon bear with a purpose. He exists as a reference guide for our own good that cuts through all the bloat and sticks to the facts. From sections like “Field Facts”, “Do’s & Don’ts” and “Camp Kitchen”, DRB becomes bigger than life. He covers all the tenets we need to adapt and survive in the outdoors, but he takes it one step farther by taking the edge off. Danger Ranger Bear makes the whole reality of survival – the reality that we’re stepping into a place that doesn’t have the comforts of modern civilization – a lot more digestible and a lot less gloomy. In turn, we’re given the chance to evolve and be prepared for anything without realizing we’ve just spent the past two hours reading about it. Hell, the furry little bugger even has his own iOS app (which I highly recommend you download to your iPhone). Currently PDW’s product offering centers on knives, tools, morale patches, and forward-thinking bits and pieces designed to help you adapt to whatever environment you find yourself in, whether on the go, in the office, or so on. They manage to offer up this unique selection of provisions – and the aforementioned catalog of useful information – while keeping it light and taking your mind off of that big, bad, heavy reality that we get when we step out into the real world. After all, that’s what we really need to be prepared for. With plans in the near future to introduce a line of clothing and backpacks, Prometheus Design Werx is poised to become the quintessential outfitter and knowledge base for anyone serious about leaving the soft blanket of modern society behind for a while. But don’t take my word for it. Head over to their website and browse around. Then take a minute to get to know Danger Ranger Bear and what he’s all about. I guarantee you’ll find it hard to leave, which is for your own benefit and is a testament to PDW’s commitment to our number one directive: staying alive.